After the Summer wait, Serie A continues. Here are the results and summaries for matchday 3. Full Video Highlights here. Inter Milan produced a masterclass of attacking play when they moved to the top of serie A with a 3-1 win at Torino on Sunday. The reigning Serie A champions had been finding their feet in Jose Mourinho’s first few games in charge, but they outclassed Torino thanks to an own goal by Marco Pisano, Maicon’s superb 30-yard screamer and a neat finish from Zlatan Ibrahimovic. Injury-hit Juventus also made it seven points from three games with striker Amauri sealing a 1-0 win at Cagliari. The race between Nerazzurri and Bianconeri is on. Manager Claudio Ranieri was unfortunate however, in losing keeper Gigi Buffon to a groin strain for at least a week. The day’s biggest performance of course, was AC Milan‘s 4-1 thumping of Lazio at Stadio Giuseppe Meazza. Like last season, all of Milan’s troubles seem to melt away when they face the Biancocelesti, as the goals by Seedorf, Zambrotta, Pato, and Kaká seem to indicate. The consolation for Delio Rossi’s team, was the excellent moment of form of Serie A revelation Mauro Zarate. 4 goals in 3 games, and the lone leader of the topscorer ranking. Finally for the last two “big” teams, Roma rebounded nicely from their shocking 2-1 UCL defeat by winning 3-0 against Reggina Saturday (goals by Panucci, Aquilani, and Perrotta), while forward Alberto Gilardino continued his rich vein of form by scoring in Fiorentina‘s 1-0 victory over promoted Bologna. In other matches, Catania stopped Atalanta‘s winning streak dead cold with a 1-0 win at Stadio Massimino Saturday (goal courtesy of Michele Paolucci), while Palermo overcame Genoa on a score of 2-1, thanks to Edison Cavani and a Cesare Bovo screamer (Diego Milito scored the lone Genoan goal). Lecce vs. Siena (Ficagna, Caserta), Sampdoria vs. Chievo (Franceschini, Langella), and Udinese vs. Napoli all ended in draws. And the winner is… Kaká. Why this one over the others? The ball’s not moving, the distance might be a bit further away, and the trajectory’s just so damn awesome. If had to choose one between all the top-corner strikes this week, this one’s it. 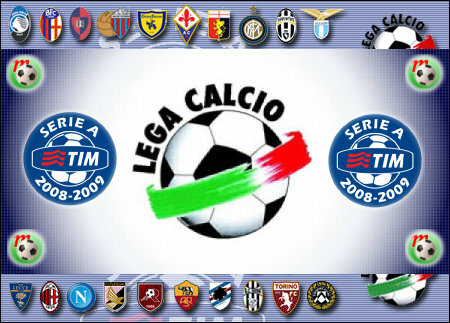 This entry was posted on Monday, September 22nd, 2008 at 10:53 pm	and is filed under Serie A. You can follow any responses to this entry through the RSS 2.0 feed. Both comments and pings are currently closed.